Principal Cast : Karl Urban, Olivia Thirlby, Lena Headley, Wood Harris, Domhnall Gleeson, Warrick Grier, Langley Kirkwood, Edwin Perry, Karl Thaning, Michele Lewis. Synopsis: In the future, society now lives in enormous Mega Cities, spanning millions of square miles – nearly 800 million people live in Mega City 1, many of which live in enormous Mega Towers within the City. 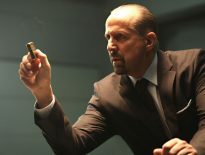 Inside one particular tower, nicknamed “Peach Trees”, criminal gangster Ma Ma controls the supply of the narcotic Slo Mo, which slows down the brain to nearly 1% of its normal speed. Judge Dredd, together with rookie Judge Anderson, enter the tower to perform a drug bust, when Ma Ma decides to unleash hell on them with her well-armed forces. What we think : Dredd, whether in 3D or not (for me, not) is a well made, violent, kinetic action/thriller that wipes clean the slate of the Stallone effort from the mid-90’s. Dredd is gratuitous, stylish and entertaining, even if it does tend to feel a little uneven in places; notably, the film’s mid-section feels too slow, lacking in a real sense of occasion, and almost drags the film down before the resounding conclusion wraps things up with a bang. Glorious slow-motion photography is used effectively, while the aesthetic of gore and blood ensures this story had a no-holds barred flavor to it – Dredd is pounding, pulsating science fiction. While I’ve been a fan of comics for the best part of 20 years (my goodness, has it been that long? ), I’ve really never had much to do with the 2000 AD anthology series, in which their long-running character, Judge Dredd, is based. I’ve been aware of him as a character, sure, although I can thank (not) Sylvester Stallone’s abominable misfire for my introduction to the franchise. Coming into watching Dredd, though, my anticipation at once more being thrust into his brutal world – our brutal world, really – of the future, where society has survived catastrophe and now exists inside enormous Mega Cities, creating the ultimate “dystopian future”, was high. The film looked to be a real throwback to the glory days of the 80’s, with violence and a sly wit, and Karl Urban’s pitch-perfect portrayal of the iconic lead character. Promoted heavily for its use of 3D – which I can’t watch, but enjoyed the 2D presentation I was able to view – Dredd actually garnered plenty of positive critical reviews, a testament to the quality of the film even if it did include a highly violent action quotient. 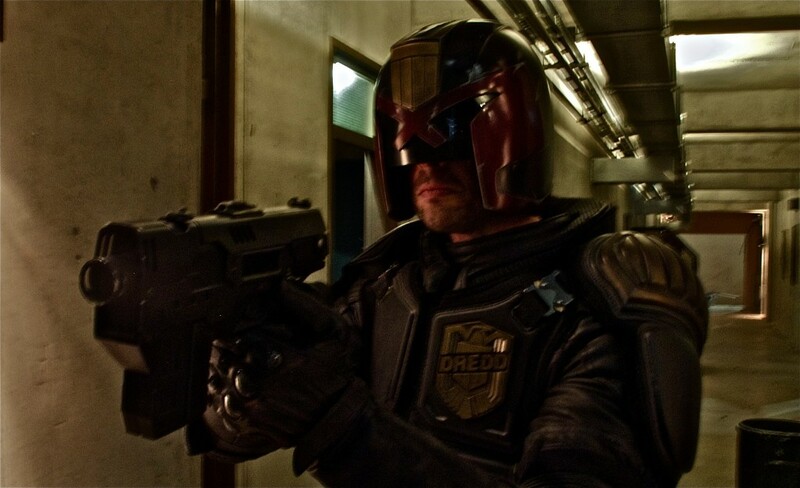 So is Dredd a violent entertainment you should watch? Or is it simply yet another mind-numbing exercise in style over substance to be avoided? Oh crap, and here’s me without my running shoes…. In the future, the Earth is an irradiated wasteland, with the majority of humanity living inside isolated Mega Cities – stretching thousands of miles across, these cities cover a third of a continent – and the consequential population problems this might instigate. Controlling an increasingly violent society are the Judges, a version of law enforcement with the power to be both judge and jury in any crimes reported, while executions can be carried out summarily where the law permits. 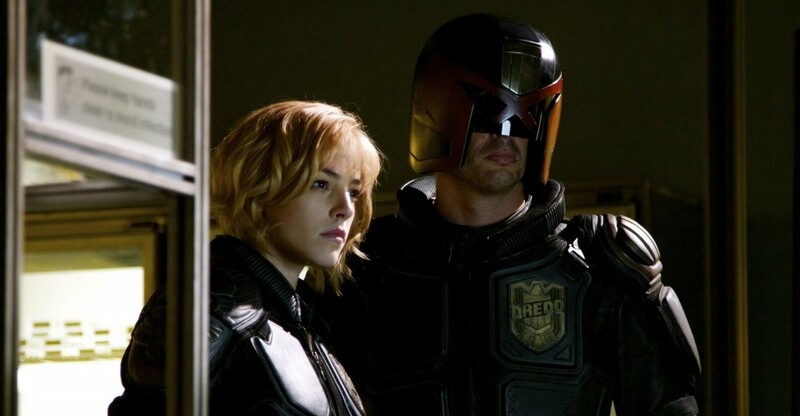 Judge Dredd (Karl Urban) is given the task of evaluating potential new Judge, Cassandra Anderson (Olivia Thirlby), at the behest of the Chief Judge. Anderson has mutant psychic abilities which could make her a valuable asset to the Judge corps, and so Dredd takes her out on the streets for her assessment. While following a lead on the new street drug known as Slo Mo to one of the City’s Mega Blocks – known colloquially as “Peach Trees” – Dredd and Anderson become trapped inside the enormous, 200-floor tower when criminal boss, the former whore known as Ma Ma (Lena Headley) decides they cannot leave and bring back more Judges. As the tower goes into lockdown, and Dredd becomes aware of the properties of Slo Mo, he realizes that taking down Ma Ma and stopping the manufacture of the illicit substance takes his highest priority. If you listen carefully, Amanda, you’ll hear the sound of your approaching doom…. 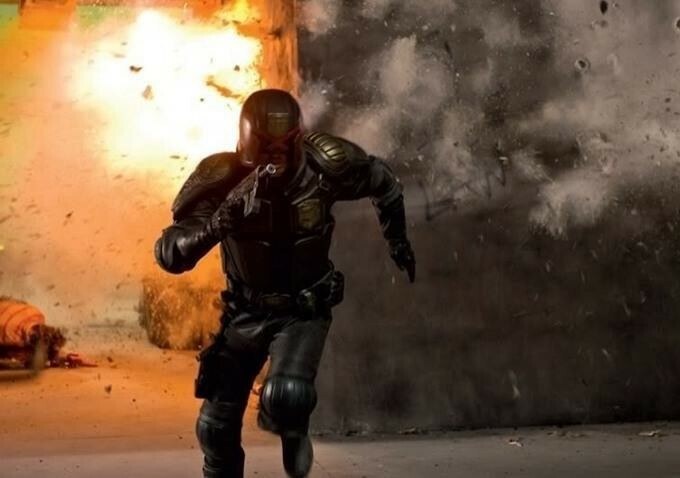 Leading the charge on delivering a revamp of Dredd is director Pete Travis. 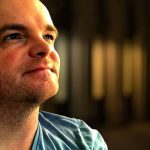 Travis’s previous feature film, Vantage Point, was met with so-so reviews (and ours indicates an entertaining if unmemorable effort), but as a visualist he seemed to understand the cinematic medium. Dredd allows him to really stretch himself as a director – the style of the world Dredd inhabits, coupled with the action-centric nature of the narrative, and the character-driven plot of this film, are a broad canvas on which he can paint, creating fully realized world which pulls the viewer into the story. The world of Dredd is largely harrowing; the population live in fear of incarceration in the “iso tubes”, which are this world’s prison cells, and crime (which is rampant) and destitution. It’s not a pretty world, which leaves the Judges a pretty big mandate to act as they see fit. Dredd touches on these elements throughout its story, although they’re mostly just window dressing through which Dredd can shoot, maim and kill all those who want to stop him. With this gun, I can take out everyone…. The central characters – Dredd and Anderson – are, as far as I’m concerned, effortlessly approachable thanks to a script that doesn’t play us for fools. Dredd himself is an angry, barely-controlled Judge, resolutely dedicated to preserving the rule of law. Anderson, a mutant psychic who failed her initial Judge initiation program, feels like an outcast, leaving the Judge system her only real chance for anything resembling a normal life. The film doesn’t dwell too heavily on their personal problems, and nor should it, instead developing their inter-personal relationship and eventual grudging respect for each other, which adds impetus for their backs-to-the-wall scenario during the majority of the film. Ma Ma, as the central villain, is a nasty piece of work, although I think she’s given little to do other than scowl and tell her henchmen to “kill them” repeatedly; she’s not really all that smart, to be honest, as a Bad Guy, but I guess if you’re surrounded by a a few thousand loyal gang members, a little arrogance might not be all that unreasonable. The rest of the characters in the film are chaff for the mill, canon fodder, as it were. Problematic for Dredd, is that a lot of innocent civilians live inside Peach Trees, some of whom are family members of those very thugs Dredd is set to kill in his pursuit of justice. The story is simplicity itself. Throw a heavily armed man and his rookie partner into a barricaded fortress several hundred stories high, surrounded by enemies and a mission to rid the building of crime. How hard could that be, right? They did it superbly in The Raid: Redemption! Dredd never stretches itself with anything other than that single-minded focus; to deliver violence, a thinly disguised moral stance on violence and crime, and a deft use of some fabulous photography for the Slo Mo effects. The Slo Mo drug supposedly slows down the brains receptors to nearly 1% of normal speed, giving the drug taker the illusion of everything slowing down nearly to a standstill. This effect is achieved using high-end digital photography, which brings the super-slow speed of film down to the barest of crawls with precision focus and color grading heightening the Slo Mo look. The set design is fairly repetitive, given the story is set inside a dreary supertower, designed and built to spec with a sense of hopelessness seeping through every darkened corridor. The design of the film is gritty and malevolent, a lot like the oncoming force of nature that is a Judge. What parties at Elton Johns house might look like in the future…. The character of Dredd is difficult to really get a handle on. He’s a brick wall of a man, the kind of person who seems to value the Clint Eastwood method of scowling, with only the lower third of Dredd’s face visible beneath his helmet. His lack of accessibility as a character actually works to heighten the frictional relationship he has with not only his partner, but just about everyone he encounters. It’s an interesting dynamic, having Dredd’s face never being revealed, nor having much of an emotional arc for the guy, but I guess since Clint Eastwood made this kind of character one audiences loved, it’s acceptable as a story hook. Karl Urban seems to “get” this character a lot better than Stallone. He utters the immortal “I am the law” line, dispenses justice with the occasional one-liner, but remains generally stoical throughout. Anderson provides the more humanistic arc in the film, with her growth as a character providing momentary reprieve from the gunfire and explosions that rock this film. Just me, my gun, and a bunch of people to kill…. Indeed, Dredd is quite violent. Not pornographically so, really, but legitimately showing the effects violence has on the human body. Bodies are shredded by automatic weapons, explosions rip through skin and doors, and through it all Dredd strides, an unstoppable machine of death. Pete Travis has trouble maintaining a real tension through the midsection of this movie, though. The film sags when Dredd and Anderson are separated, with Dredd’s monotone style unable to carry the movie on its own – Dredd needs Anderson to provide the necessary character tension which drives the film through its opening half. Dredd’s a better character when he’s got somebody to bounce off. 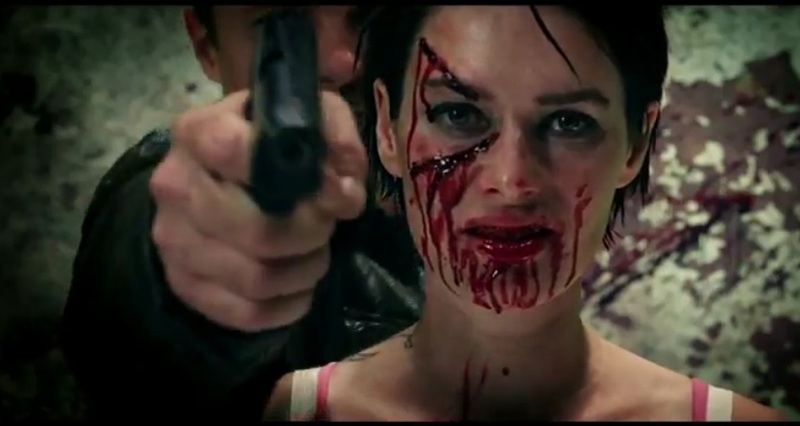 The film also has issues of editing when it comes to the action. At times, the film’s lack of coherent editorial style causes the film to pause within a moment when it should be gunning for the gate. There’s large moments of silence and inaction, mostly in attempts to develop tension when Dredd is under attack or prowling the corridors of Peach Trees, and these moments just die on the screen. Travis doesn’t quite keep the momentum of the film’s starkly entertaining opening half-hour going throughout the film. The film’s bristling conclusion doesn’t live up to the opening either, even though it’s stylish as hell and provides one of the better endings to a Bad Guy you’ll see on screen this year (or any year), but the general lack of narrative propulsion through the middle of the film prevents this from from remaining a taut thriller – that’s what it should have been. Channeling my inner Gary Oldman…. Dredd is a stylish, effortlessly entertaining genre thriller that delivers plenty of vicarious thrills, even if the film isn’t always thrilling. 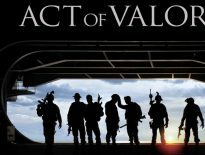 The production is solid, the effects are generally awesome, and Urban, Thirlby and Headley provide more than adequate acting chops for what is essentially a gun-fest with badges. The sound design rocks, the thumping, pulsating industrialized score soundtrack delivers appropriate low frequency and sci-fi flavoring, and the script doesn’t pull punches on the violent content. With minor caveats, Dredd is a rock ’em, sock ’em dynamite action thriller, a film which pleasantly surprises by just how wry and smart it is, considering how melancholy the setting might say otherwise. Dredd, for want of a better word, rocks. Tossin’ It Out There: What’s YOUR Favorite Big Dumb Action Movie? © 2013 – 2018, Rodney Twelftree. All rights reserved. Nice review. I saw it after The Raid and maybe because of that I did not enjoy it as much…I kept comparing them. The slo mo shots were beautiful, but this is not a movie I would rewatch, but I would do that for The Raid. See, I think both films are different beasts, really. The Raid has that raw, gritty urban nightmare quality to it, while Dredd has the glimmery Hollywood sheen applied to a lot of what happens here. Both equally cool, yet I agree, the Raid is probably the one I'd rewatch first. Did you hear about the Raid sequel currently being filmed in Indonesia? Yeah, I did hear about it…apparently there will be two sequels and I can't wait to see them! My recent post The Monday Question: Holiday! Two? Wow, I hadn't heard that! Now I'm REALLY excited!!! I mean to review Raid after your exchange with Al (could only find it in English, will that be a problem? ), but I must say I was pleasantly surprised by Dredd. My expectations were very low as I thought it was a low-budget summer film, but when I saw it had McCoy and Olivia Thirlby, I decided to give it a close look and really enjoyed what I saw. I was also pleasantly surprised to see I'm not the only one who liked it! I thought, perhaps, this was going to be one of my 'guilty pleasure' films. Ha ha, glad you've finally snagged a copy of The Raid, St Pauly. No, the English dub won't really be an issue (largely because the dialogue in that film is incidental to the action). 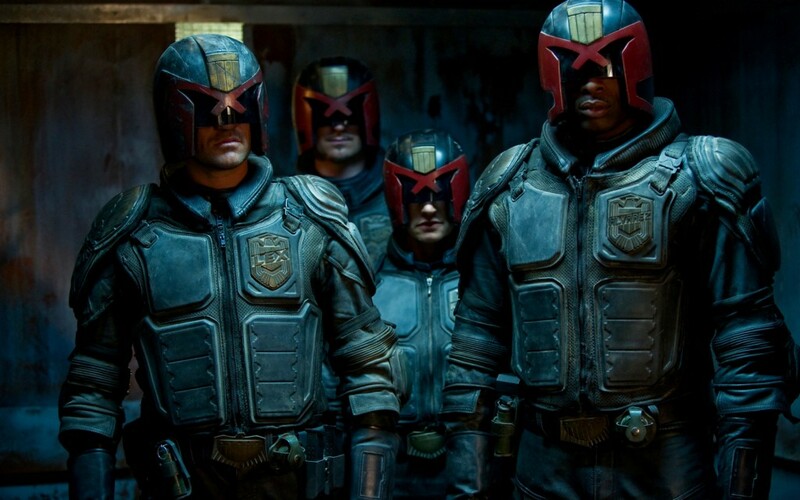 Glad to hear you enjoyed Dredd – can't wait to see your review of it, too, by the way!! It's definitely one of those "guilty pleasure" films, a lot like The Expendables movies. Great fun! I really enjoyed this film. I was toying with the idea of rewatching the Stallone edition first (I have it buried away on VHS tape somewhere!) but couldn't do it to myself. I remember seeing it in the cinema, and after getting the video of it when it first came out, and rewatching it a few times, I realized just how stupid the whole thing was.